Smart Bedding is a complete set of bedding — fitted sheet, top sheet, duvet cover, and pillowcases — created by Marshall Haas and Jon Wheatley to eliminate bunched sheets and time-consuming bed-making. 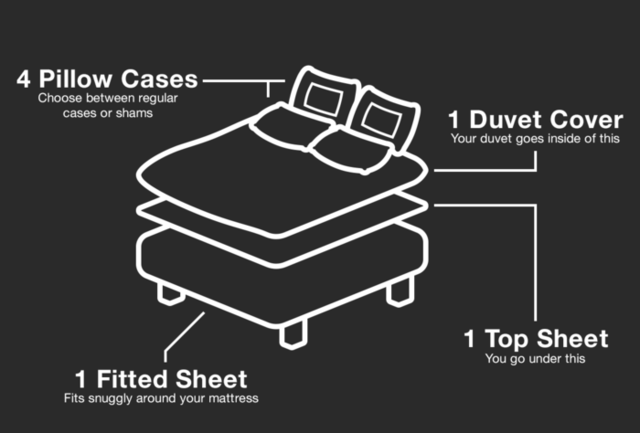 The Smart Bedding top sheet snaps to the duvet cover to keep the two aligned throughout the night, which turns making the bed into a simple process of straightening the duvet. The project is currently seeking funding on Kickstarter.